It has been a little bit quiet here. There is a reason for it; I moved! It has been a very busy time. 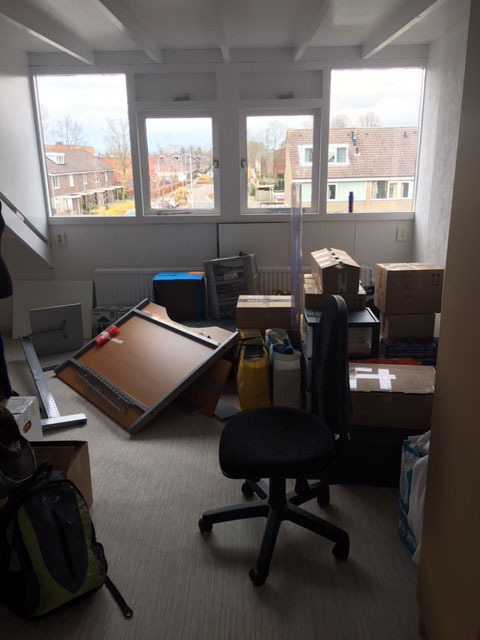 We had to pack everything, had to sell out old house, needed to work on the new one. We changed the kitchen, the toilet and everything needed paint 😊. For one hole month we have switched between houses to do the job, of course with help of family and friends. It was a challenge to do all the painting and work on one side and keep my company up and running on the other side. It was extremely busy, but I can’t complain about how everything worked out. I was able to finish commissions, to send orders and to keep my social media active. My shop only had to close for a few days, that makes me very happy ( a closed shop means no income). We still live between boxes in our new home. It will take a while before everything gets its own place again. I unpacked all the Important stuff of SB Designs/SB Designs Creations, so I am able to work in my new studio. I love it! I didn’t dare to dream I would get a studio like this!!! I am also very thankful I get all the support in the world from my husband. He didn’t mind giving up the biggest room to let me have an amazing studio space. He supports me in every way and I love him so much for that! He is the best! For quite some time now I wasn’t able to create new products. Everything was packed and that was frustrating. Luckily I started unpacking and I am able to create new product again (hurray). Before the big move I had photographed new products, but I couldn’t find the time to edit the photos. There is so much to show you guys! Since the end of last year I started adding new kind of products to my shop. Jewelry is still an important product category, but I wanted more. I started with illustrated products and my assortment is growing from time to time. I changed my intro to ‘Fantasy Jewelry, Accessories, Home Décor & Stationary’. This definition described my company and products better. I drew a line between SB Designs and SB Designs Creations. SB Designs for everything to do with illustration and SB Designs Creations for everything to do with Handmade products. This definition isn’t completely actual anymore. Since I started with selling illustrated products I didn’t know how to make a difference between the companies. After some thinking I found a better border between the two companies. SB Designs keeps focussing on illustration, also the non-fantasy commissions and work. And SB Designs Creations is everything that for fills the definition ‘Fantasy’. Fantasy themed illustrations, illustrations for products, etc. It’s just a small line between the companies and I think thatit finds it’s own way along the way. I notice I don’t have that much content to show on my SB Designs social media channels, especially Instagram. I think I will make that account a little bit more personal :). I know I keep talking about new products. Behind the scenes I have a lot going on and I can’t wait to show you. 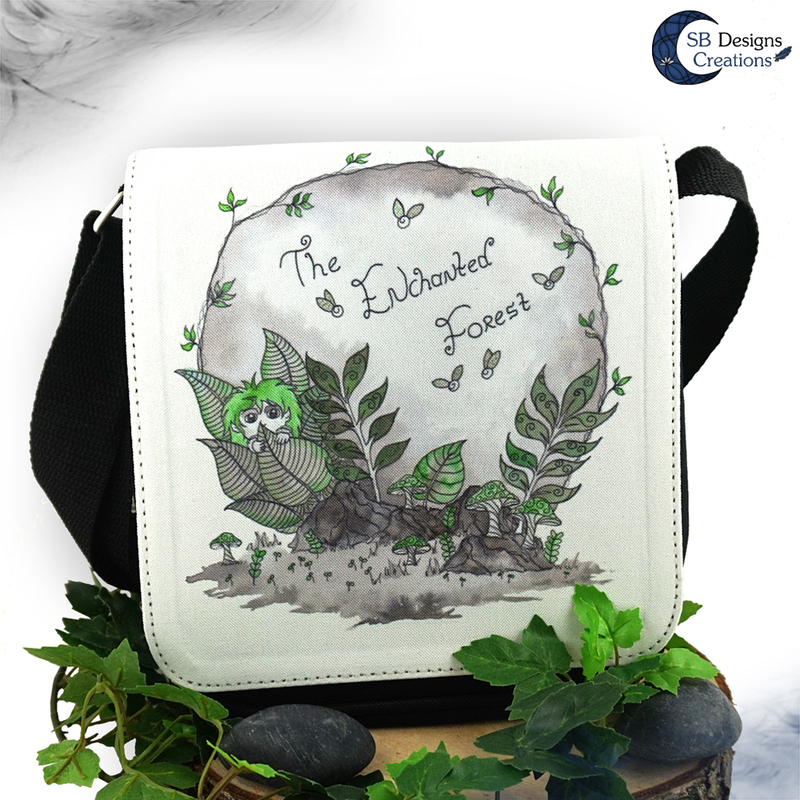 I get many compliments about the illustrated bags that I have added recently to my shop. Some of them are out of stock at the moment, but I am restocking very soon. I also get questions about the wooden boxes. Yes they will become available very soon. And yes, I am planning to combine marble techniques with wood and yes, I also keep practising with engraving wood. I can’ do everything at once, so I need a little bit more time. For now I focus on making the home liveable and to organise my new studio. When everything is set, I will give you guys a tour :D.
Posted in About me, Behind the scenes and tagged artistlife, Fantasy Artist, Moving, New Studio, SB Designs, sb designs creations.